Showtime has never had a late-night talk show, but that is all about to change. 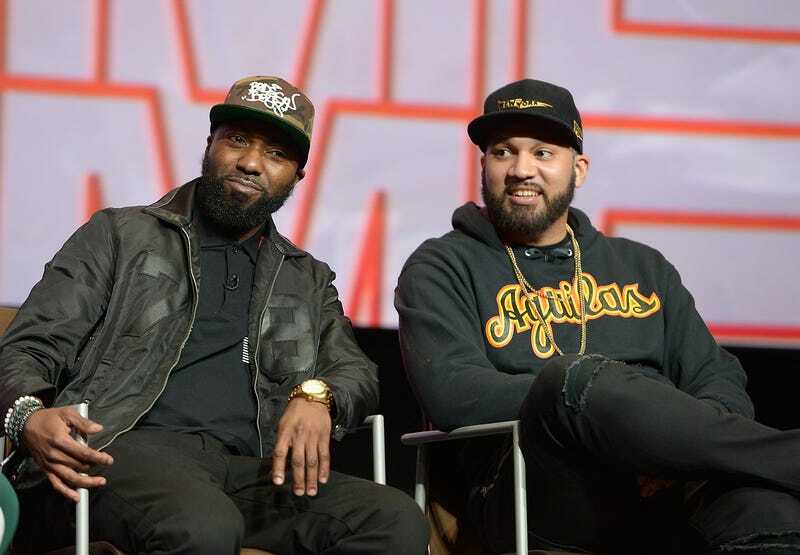 The cable network has managed to woo our favorite Bodega Boys, Desus and Mero, away from Viceland—where, for the last two years, they have hosted Desus & Mero in the 11 p.m. slot Monday-Thursday. On Friday, Deadline reported that the duo—whose real names are Daniel Baker and Joel Martinez, respectively—would be leaving Viceland after their final show airs June 28. It was rumored that they would be heading to Showtime, and now that has been confirmed by both the network and its president and CEO, David Nevins. Viceland reportedly tried to keep the duo with a new deal, but apparently the Showtime deal was that much sweeter. We always love to see our faves get their come up. The two still host their podcast, Bodega Boys, which brought them their social media popularity and led to them getting their Viceland show. The move to Showtime is the next logical step in their success and will likely introduce them to a broader audience.